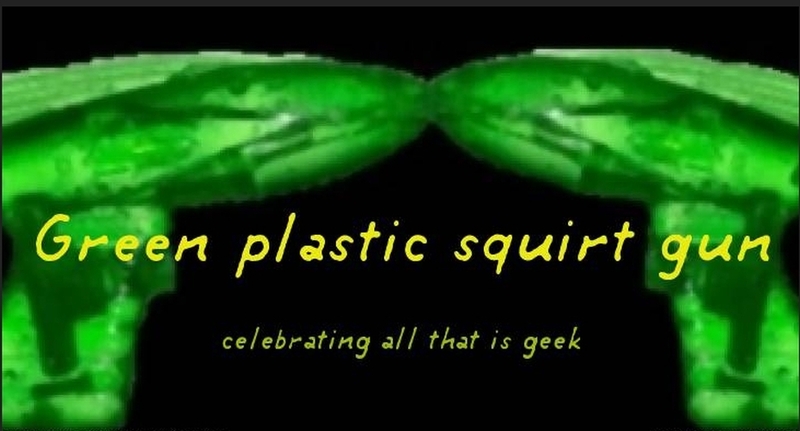 Green plastic squirt gun: Tiny slime pit. 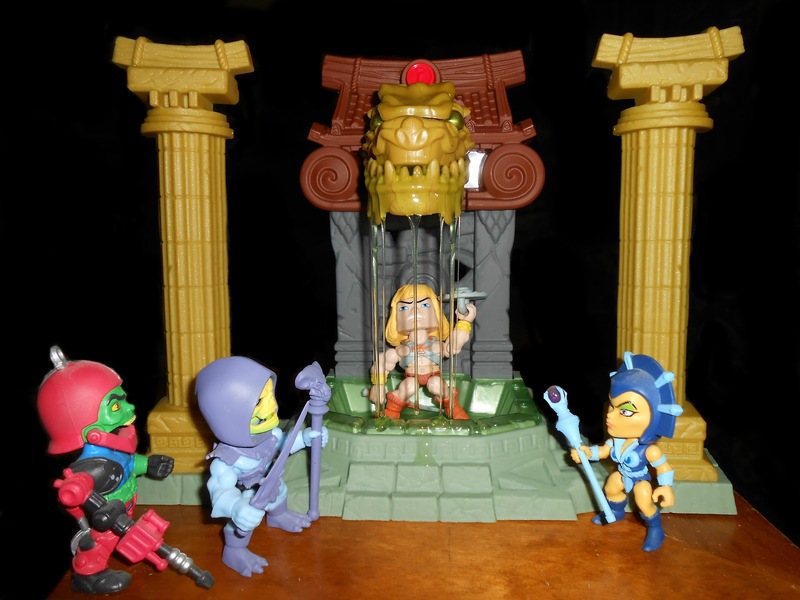 This is the Imaginext Ooze pit.This set is clearly a homage the vintage MOTU slime pit and I have to say I love it . Life lessons I learned taking this picture : 1 ,the slime of today is not the same beast as the slime of my youth. Its super water and uncontrollable. When you pour out this stuff you you are literally pouring it out and its going to run everywhere. 2, The slime of today burns when it gets in your eyes. 3, If playing with the slime of today expect to get it in your eyes ( also mouth ,nose , ears and in the eyes again.) 3: as watery as the slime of today is you would think that cleaning it off of your hands , the table , the floor , the toys and ect would be easy...yeah you can think that but its the wrong answer . 5, If a toy comes with slime its probably just best you not play with the slime. Todays slime ain't got nuthin' on what we grew up with,lol!How did you time that so perfectly?The slime looks like prison bars. I tell you right now the next thing I buy with this "slime" Im tossing the stuff right in the trash. I took like 15 shots and this is the one I liked the best. Depends on the slime, some is runny, others are more together. Just have to look and you'll find slime you like. I need to get that pit now lol! I was just looking at a bunch of different kinds at walmart that looked way better than the green water that this came with. Imaginext has really impressed the hell out of me with these homages. Kind of makes me wish I had been collecting them all along. Im playing catch up a bit myself but there are lots of new cool things coming out that you can still get for normal price. The new blind bags have muscles ,a battle beast and the fisher price adventure people transparent robot man. That is a cool little set! I may need to find one for my Battle Tribes figs to hang out on. I looked all over the place for it and ended up buying it from Amazon. It's a pretty neat little backdrop . That Flarp stuff you use to make fart sounds with is the most like real slime that I have ever seen. It cleans up easy too. That is cool. Bummer about the slime.